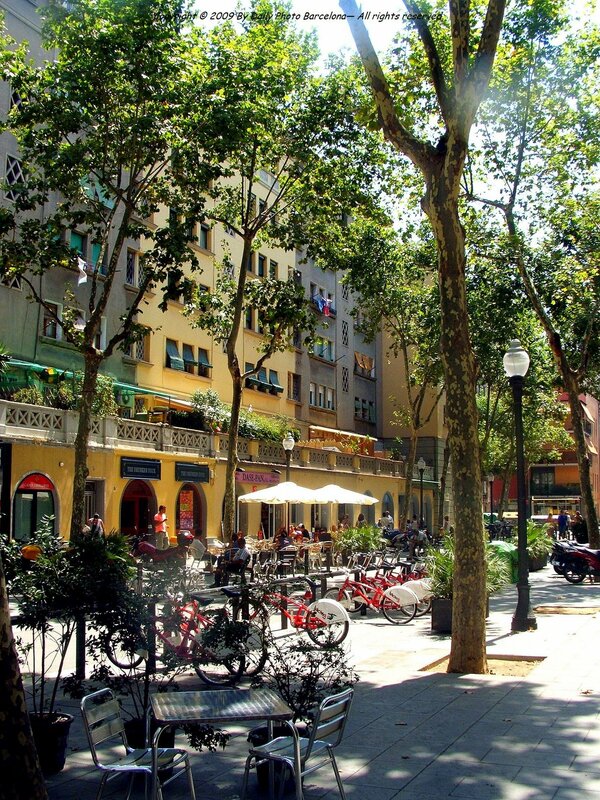 … and in the back, one of the many reasons to come to Barcelona: playas! Blues, and other colors, of course. 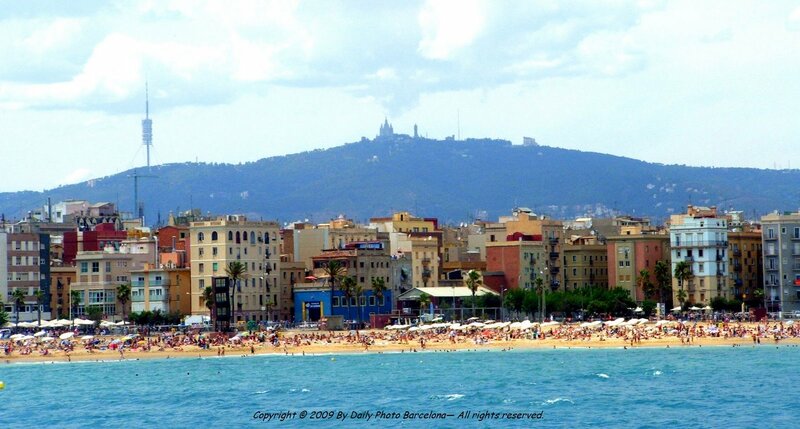 The Westin hotel, as seen from Barceloneta beach. 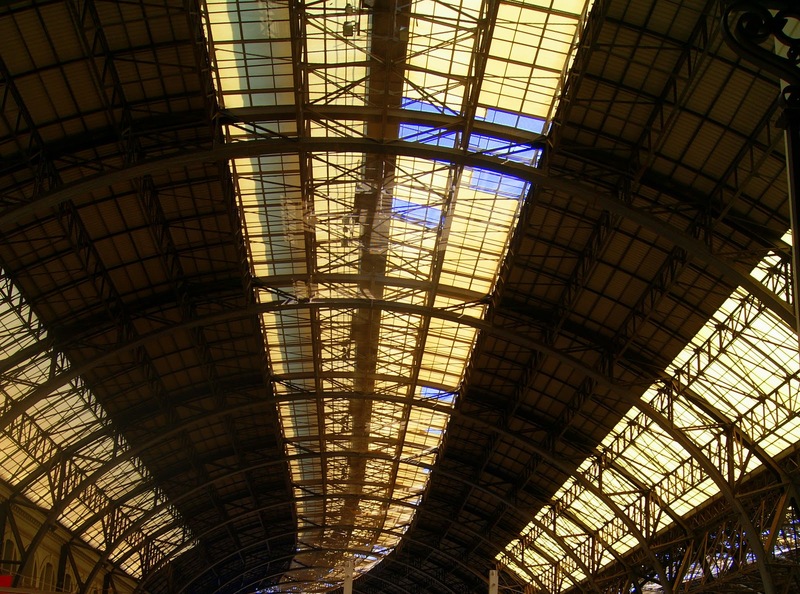 Of all train stations in town, this is by far the prettiest. You might have seen it in the news, but if you haven’t: there have been violent clashes between 700 or so ‘anti system people’, as they call them on TV, and several hundreds riot police yesterday afternoon, less than 100 meters from where we live. Burned car, burned and upturned bins,tear gas, 59 people arrested, 58 injured. A lot of violence. 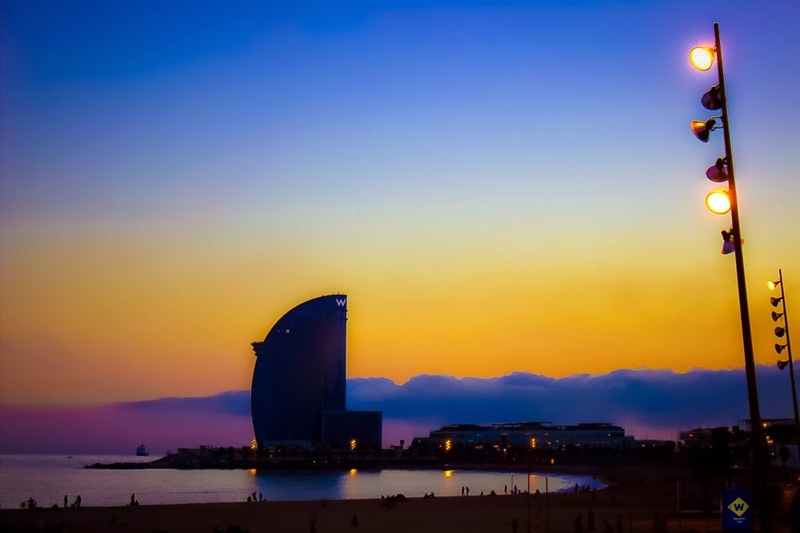 Barcelona seafront on a warm summer evening. Must be 8.30 PM, probably the best moment of the day for a swim. Going there tonight. 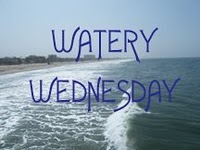 As every wednesday, this is for Watery Wednesday, episode 102. Please click right here to see more participating pictures. 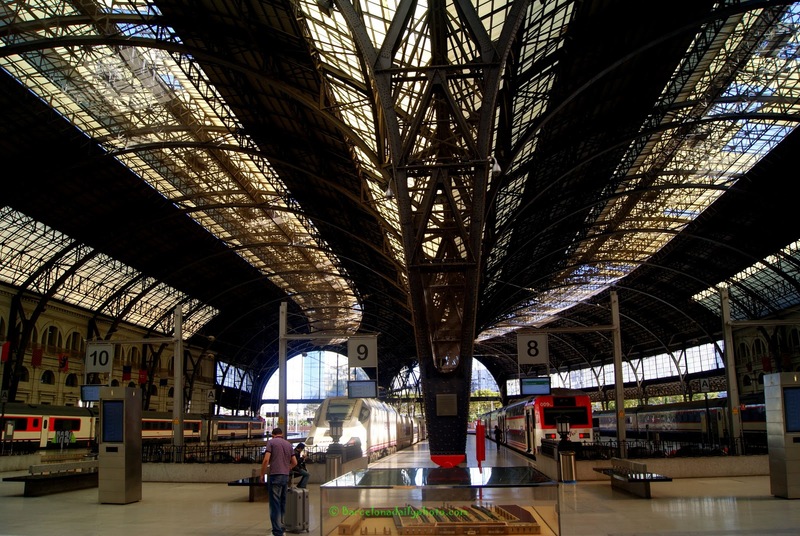 2 more highlights of the Barcelona skyline are the Mapfre Tower and the Arts Hotel. 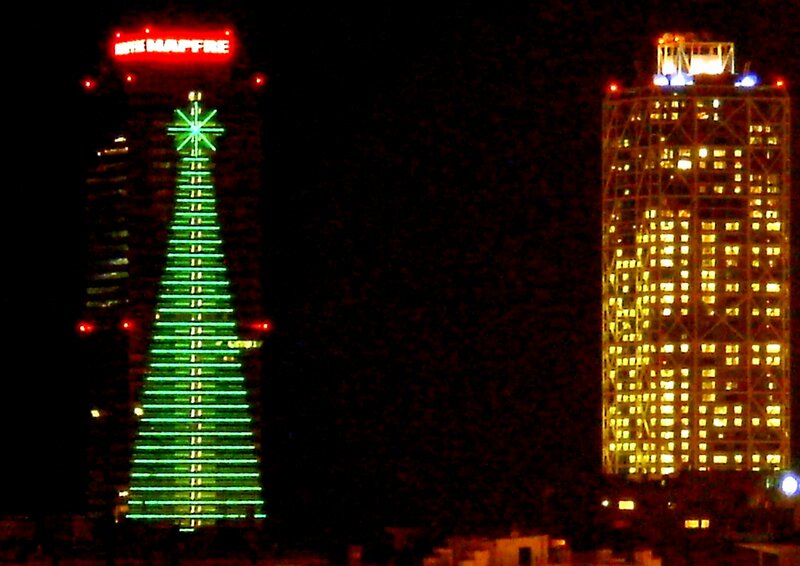 The Mapfre Tower is specially lit up for Christmas, probably until January 6th, the Kings, a holiday here. And good news: the best sales of the century, according to the papers, starts right after, on the 7th! Also: a very warm welcome to Lorac, our 222nd follower! Also… Been a while since last time, but here is our BLOG WE LIKE: the award winning Delhi Photo Diary. We used to live in Delhi, so it has a bit of a special meaning to us to see Priyanka excellent pictures. Lat Sunday, I took a swallow. Yes. Spanish: una golondrina, which is one of those little boats you can take along the coast. 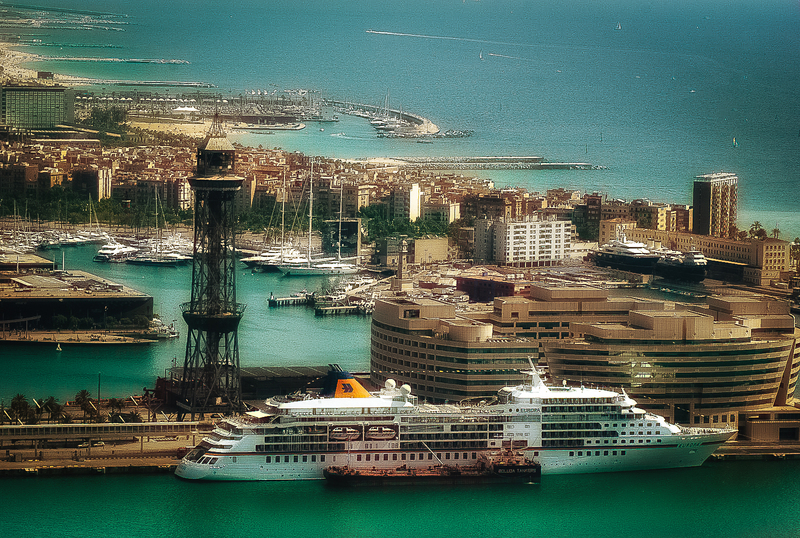 Barcelona, seen from the sea. 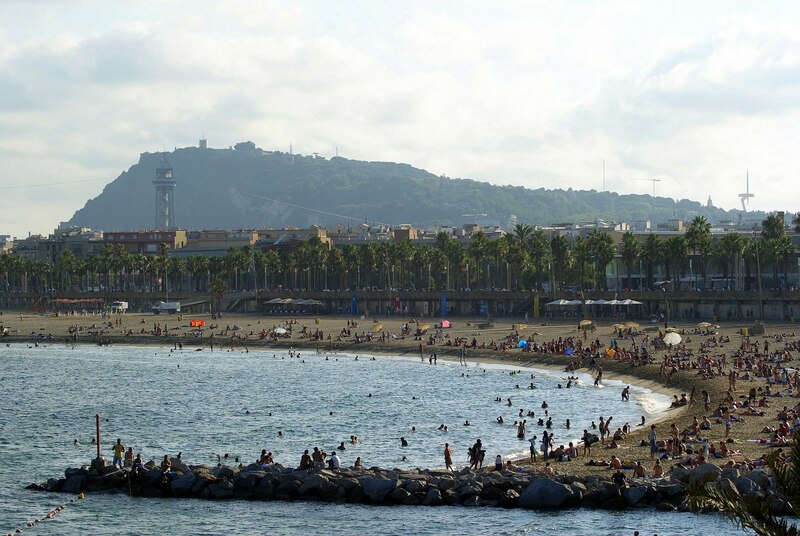 This is Barceloneta beach, one of the most popular ones. We have here a long string of beaches, 7 or 8 of them, all along the town. 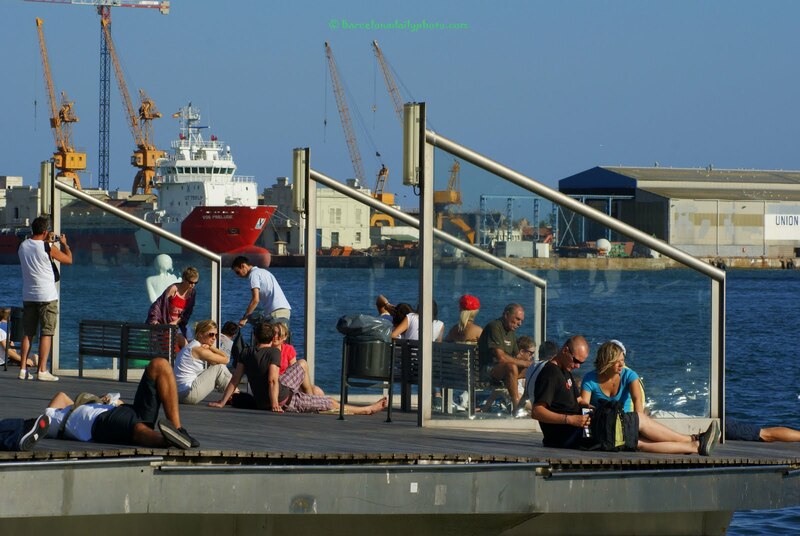 You can’t really be far away from the next beach, which is very enjoyable! The beach was obviously very crowded, although the sky was kind of greyish-white, and the sea pretty choppy. I’ll show you a bit more in the next few days. What you see in the back is the church in Tibidado. Will come back to this as well, some time soon. Stay tuned!